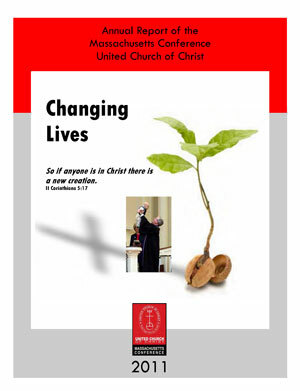 The Massachusetts Conference's 2011 Annual Report is now available online for download, or printed copies can be obtained by contacting Karen Methot. how the initiatives of this Conference are providing congregational leaders with extensive and excellent support. Yet the stories on these pages are but a whisper of the promise of our collective witness. Download this 20-page report to read the rest and see how the churches and people of the Massachusetts Conference together are changing lives.